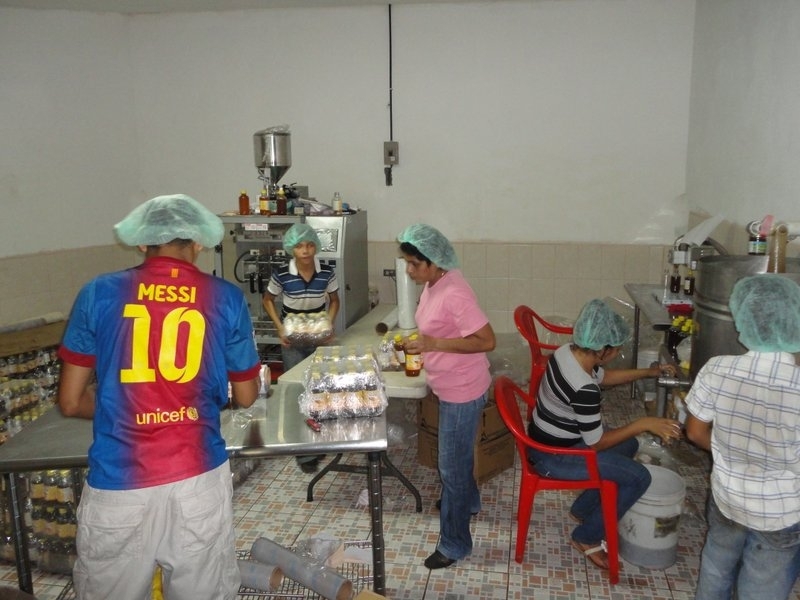 When we first met La Leonesa in early 2009 they were trying to bring honey to the people. Specifically, they wanted to introduce serving-size bags of honey to the local Nicaraguan population. While Nicaraguan honey is a hot commodity on the international fair trade market, back home most people are unable to access it in affordable quantities. The Working World helped the cooperative finance a feasibility study and later the raw materials to begin production. Since that first project, The Working World has helped La Leonesa expand its product base to include eucalyptus and pollen-enriched honey, pollen powder, mead, shampoo, beeswax candles and even a wonderful and very popular honey wine. We also supported the cooperative’s efforts to bid on a government contract to provide honey to tens of thousands of public workers as part of a Christmas basket. When they won the bid we were right there, approving a US$6,000 loan in just two days to produce 21,000 bottles of honey. With our assistance they were able to complete the order a full four days ahead of schedule, shipping off what amounted to two years of sales in a mere 18 days. After, La Leonesa promptly reinvested most of what they earned to scale up production. This turned out to be a great decision when in 2011 the government again came to the cooperative for its Christmas order. La Leonesa was again able to complete the order ahead of schedule and now looks to have procured as a client this important “anchor” institution for the foreseeable future. Now, in addition to working with the government for further procurements, they are also preparing an order for a large German fair trade buyer. And they are still making affordable serving-size bags for the local market. This is values-based production. This is real community wealth creation. This is development that gives people the tools to build for themselves.